afro - Characterized by or being a style of tight curls in a full evenly rounded shape. bald, shaved - Not synonymous. A bald man has naturally lost some or all of his hair. A man with a shaved head chose to have his haircut close to the scalp or completely off, replicating the bald look. braids - Traditional style worn by many African-American girls in which hair is sectioned into parts and then, in each part, three or more strands of hair are intertwined. Also known as plaits. cornrows - Braiding technique close to the head and also known as French braids. dreadlocks, dreds or locks - Long uncombed twisted, or matted, locks of hair, a style worn originally by Rastafarians. extensions - Human or synthetic hair used to make a persons existing hair longer. Often used with braiding. Jheri curl - Chemically treated curly hair resembling Shirley Temple-like tresses. Other names were California curl, S-curl, carefree curl and luster curl. Jheri Redding, a Chicago-based entrepreneur and stylist, created the style in the late 1970s, then produced his own line of hair-care products. twists - Style in which hair is sectioned into parts and then, in each part, strands of hair are twirled. weave - Synthetic or human hair added to existing hair or scalp to give one the appearance of a fuller head of hair. HBCUs: Acronym for historically black colleges and universities. There are 105 institutions founded primarily for the education of African Americans, although their charters are not exclusionary. Most HBCUs are 50 to 100 years old. HBCU is acceptable on second reference and in headlines. Islam: Youngest of the world's three major monotheistic religions. Like Judaism and Christianity, its followers believe in a single deity. Muslims holy book is the Koran, which, according to Islamic belief, was revealed by Allah (God) to the prophet Muhammad through an angel in the 7th century in Mecca and Medina. (See Koran.) Muslims worship in a mosque and their weekly holy day, equivalent to the Christian Sabbath, is Friday. It is the religion of about 850 million people worldwide. Although Arabic is the language of the Koran, not all Arabs are Muslim and not all Muslims are Arabs. The holiest city in Islam is Mecca, in modern-day Saudi Arabia. Mecca is the site of the Kaaba, the cube-shaped black rock that is Islam's holiest shrine. There are a number of sects in Islam, which include Sunni (the largest) and Shiite (the second-largest). Jack and Jill of America Inc.: Service-oriented organization founded in 1938 in Philadelphia by Marion Stubbs Thomas and a group of mothers who wanted to bring black children together in a nurturing and culturally enriching environment. The group has more than 8,000 members and is organized into seven regions nationwide, each with local chapters servicing families and communities. Spell out the and in title in all references. Jim Crow: System of laws and practices that enforced racial segregation and discrimination against blacks, especially in the South, from late 19th century to the 1960s. Jim Crow was the name of a routine performed by Daddy Rice, a white minstrel show entertainer in the 1830s. Rice covered his face with charcoal paste or burnt cork and sang and danced in caricature of a silly black person. Jim Crow became a racial epithet and synonymous with the brutal segregation and disenfranchisement of African Americans. The Capital Press Club - based in Washington, established in 1944 to expose black journalists to newsmakers in government, politics, private and non-profit organizations when they were denied admittance to the National Press Club and the White House Press Association. The club is the nation's oldest black communications association. Its founders, among others, included Alfred E. Smith, Chicago Daily Defender; J. Hugo Warren, Pittsburgh Courier; Ralph Matthews Sr., Afro-American Newspapers; Joseph Sewall, Washington Spotlight; Ric Roberts, Pittsburgh Courier; St. Claire Bourne, New York Amsterdam News and Herbert Henegan, U.S. Information Agency. The group sought to improve the status and working conditions of black journalists. The Freedom Forum - based in Arlington, Va., a foundation dedicated to free press and free speech with newsroom diversity cited among its three priorities; the other two are the Newseum, an interactive museum under development in Washington and the First Amendment. The Freedom Forum was established in 1991 under the direction of founder Allen H. Neuharth as successor to a foundation started in 1935 by newspaper publisher Frank E. Gannett. The Freedom Forum is not affiliated with Gannett Co. An endowment of diversified assets provides its income. The Maynard Institute - based in Oakland, Calif., a nonprofit corporation dedicated to expanding opportunities for minority journalists at U.S. newspapers. It has trained hundreds of journalists of color in the past 25 years. Journalist Robert C. Maynard co-founded the Institute for Journalism Education and it was renamed in December 1993, following his death, the Robert C. Maynard Institute for Journalism Education. 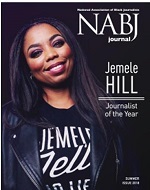 National Association of Black Journalists (NABJ) - based in College Park, Md., an organization of journalists, students and media-related professionals that provides programs and services to and advocates on behalf of black journalists worldwide. Founded by 44 men and women on Dec. 12, 1975, in Washington, NABJ is the worlds oldest and largest organization of journalists of color. Many NABJ members also belong to one of dozens of affiliated local professional and student chapters. NABJ is acceptable on second reference. National Association of Minority Media Executives (NAMME) - based in Vienna, Va., an organization of news and business-side managers and executives of color working across all media-related fields. 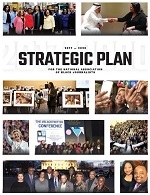 Formed in 1990 by Carl Morris and Albert Fitzpatrick, who aimed for people to color to not only climb corporate ladders but into the executive ranks. NAMME is acceptable on second reference. National Newspaper Publishers Association (NNPA) - based in Washington and also known as the Black Press of America, is federation of more than 200 newspapers serving black communities across America was initially organized in Chicago in 1940. NNPA is acceptable on second reference. Juneteenth: Oldest known celebration of slavery's ending. From its Galveston, Texas, origin in 1865, the observance of June 19th as black Emancipation Day commemorates freedom and emphasizes education and achievement. It is a day, a week and, in some areas, a month marked with celebrations, speakers, picnics and family gatherings.